It’s always good intentions that hold us back from greatness. Good intentions are just warm, cozy thoughts locked in a box. The dust on the shelf of good intentions runs thick in many of our lives. As I think about this, I drag my finger through the dust of my good intentions from 2017. Guilt floods my heart and most of all, I regret not spending more time in prayer. I know guilt is from the enemy, so let’s not focus on the guilt. Let’s focus on the actionable steps we can prepare our heart for in 2018. None of us are guaranteed tomorrow. There will always be things we can do better at. But where is the urgency in our hearts? Do you feel it? The insurmountable need for prayer on our knees? It starts with our own family! As the New Year approaches, there is always a desperate longing to simplify in my mind. Do you feel this too? To cut back on commitments, schedules, activities and get back to the basics. Here is a simple prayer schedule for you and your family. I would suggest praying for these things at the same time every day. An idea that might work for you is to pray at 8:18 pm every night (which is 20:18 military time) to represent the year 2018. Monday: Pray for a young girl in your life: daughter, niece, sister, or granddaughter. Dear God, please help _____________ to know how much she is loved and cherished by you today. Tuesday: Pray for a young man in your life: son, nephew, brother, or grandson. Dear God, please help ______________ to know you have a great plan for his life! 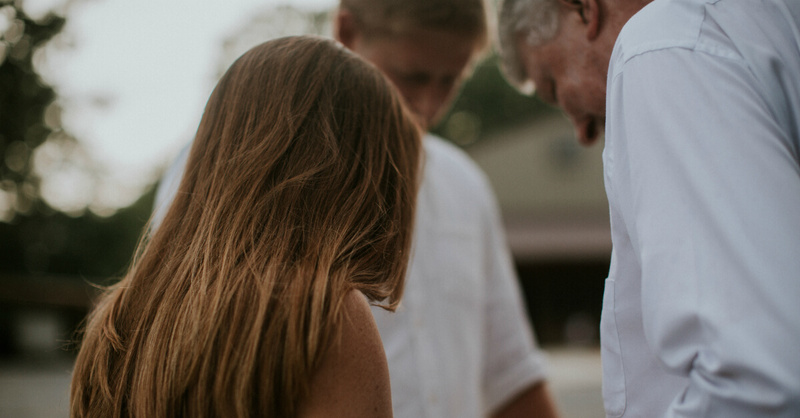 Wednesday: Pray for your spouse/future spouse/children’s spouse. Dear God, I pray that _______________ will remain pure in their thoughts and actions and will know how much they are loved. Thursday: Pray for a wayward family member. Dear God, I pray for ______________ to return to you. Please use the people in his/her life to share your unconditional love and grace. Friday: Pray for salvation of loved one or family member. Dear God, May the eyes and heart of _______________’s understanding about you become clear. May they be drawn to you by the prompting of your Holy Spirit as they see their need for you. Saturday: Pray for godly leadership in your home, church, workplace and nation. Dear God, May _______________ be the godly leader you intend for them to be. May they always look to you and be humble and teachable. Sunday: Pray for your immediate family unit under your own roof. Dear God, may this house be filled with gentle voices, encouragement and the praising of your name throughout our day! Click HERE to download a free printable version of this guide! A fun prayer-focused devotional you might like to add to your library is Jesus Calling Little Book of Prayers. Help your child understand that talking to God is easy and fun! 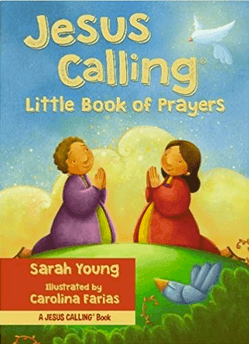 This book might be the jumping off point of getting your little ones in the habit of prayer early in life. A beautifully illustrated book for toddlers and preschoolers. This book is full of simple prayers inspired by God’s Word. What a wonderful reminder of God’s love for them and His desire to fellowship with His people. 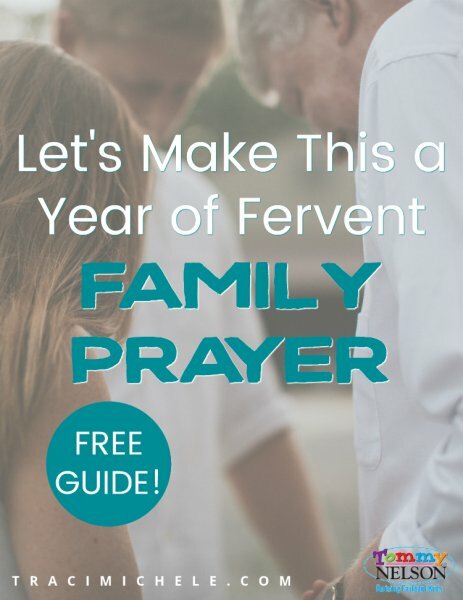 How will you make the new year one of fervent prayer for your family? This entry was posted in Blog, Press, Product, Tommy Nelson and tagged Carolina Farias, Family, Jesus Calling, Little book of prayers, New Year, Prayer, Sarah Young, Tommy Nelson, Traci Little by Traci Little. Bookmark the permalink.